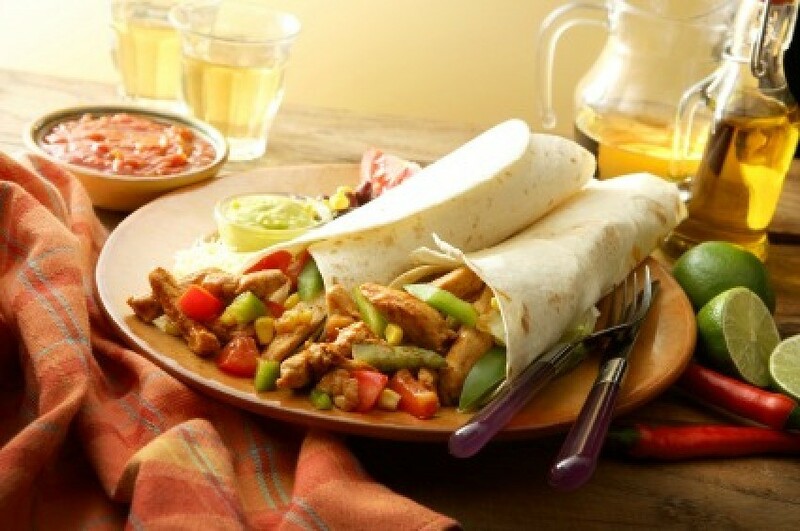 Chicken burritos are easy to prepare and sure to become a favorite meal. This page contains chicken burrito recipes. Delicious, inexpensive, and a great way to use leftovers! Heat oven to 400 degrees F. Spray 2 cookie sheets with Pam. In a medium bowl, mix refried beans, rice, 1 cup cheese, and 1/4 cup salsa. Divide chicken mixture down center of each tortilla. Roll up, tucking in ends as you go, burrito style. Cover with foil, and bake 20 minutes. Remove foil, and top with cheese. Bake 8 to 10 minutes longer until cheese is melted. Serve with sour cream and salsa. A meal in itself! We typically assemble these over the stove to each person's preference. They make great leftovers for work. Place chicken breasts and salsa in crock pot and cook on low all day. Approximately 20 minutes before dinner, make Spanish rice mix with canned tomatoes as directed. Heat black beans with frozen corn. 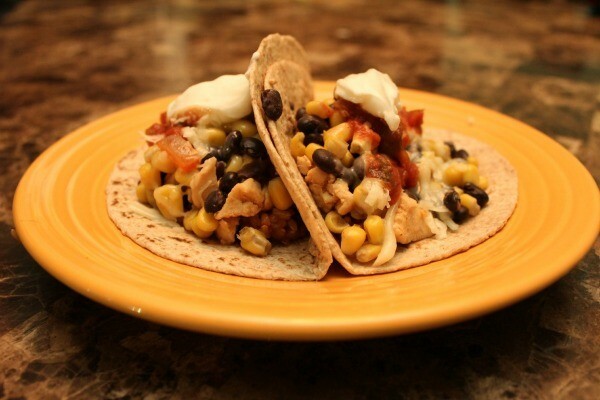 Place chicken, rice, corn and bean mix, and shredded cheese in tortillas. Top with salsa and sour cream, if desired, and enjoy! As an alternative to Spanish Rice mix, I sometimes cook the rice in the rice cooker, replacing half the water with salsa. I also occasionally cube the chicken and cook on the stove top with a little taco seasoning, rather than using the Crock Pot. Combine mayonnaise and salsa. Stir in chicken and beans. Layer lettuce on center of each tortilla; top with chicken mixture. Roll up tortillas. Makes 5 servings.